Nothing says summer like dandelions. Normally I’m not such a fan. But after waiting so long for summer this year, seeing anything in bloom is rather a thrill. 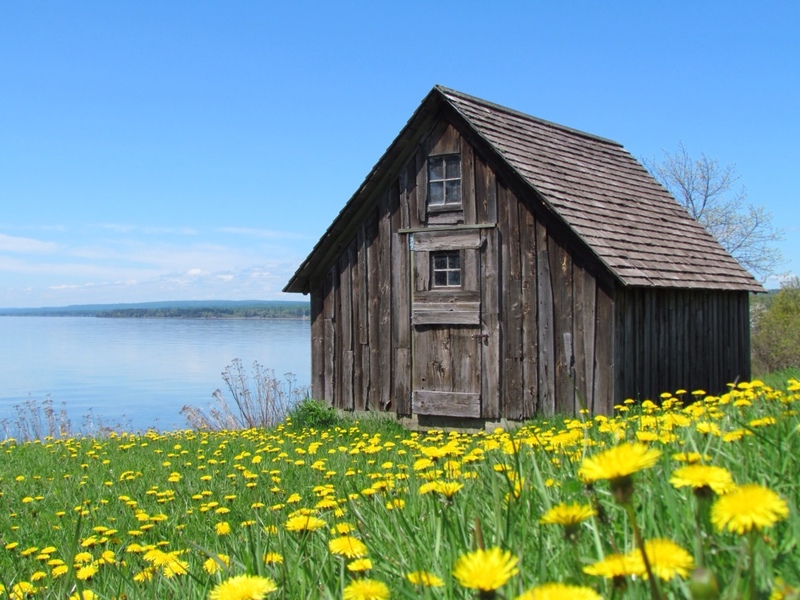 So even though the fish house on Stony Point is a highly popular subject of local photographs, including mine, as I was cycling by I couldn’t resist capturing it surrounded by the brilliant yellow blooms. I’d been taught to look for new and unique angles in my photography class, so I decided to get up close and personal with the dandelions. Lying flat on the grass, nestled into their yellowness I clicked away. Perhaps the resulting image is not all that unique, but the process of capturing it was distinctly satisfying. Stretching out in the sun and peering through the low flowers was the epitome of a summer day. No reason to hurry, no pressing need to move on, I felt as peaceful as the calm water on the other side of the building. It was that sort of day. Taking advantage of the lack of wind I’d decided to cycle up the Scenic Highway and back again, clinging to the shore, savoring the views and basking in the sunshine. It’s not often that the water is so calm, and the seagulls, birds and mysterious swimming animals seemed to be enjoying it as well. For once I was able to shed my obsession for exercise and cycle for the sheer joy of being out on a beautiful summer day in such idyllic surroundings. Even without a “wind off the lake” there were still pockets of Superior-chilled air along the shore. I cycled through a patchwork of warm and cool temperatures. Lake Superior was gently exerting her influence, with reminders of the just how recently the ice retreated from her shorelines. The spring green color of the newly leafed out trees belied the advanced date in June. The lilacs, apple trees and tulips had suddenly burst into bloom. And for the first time this year it felt like summer. Dandelions and all. 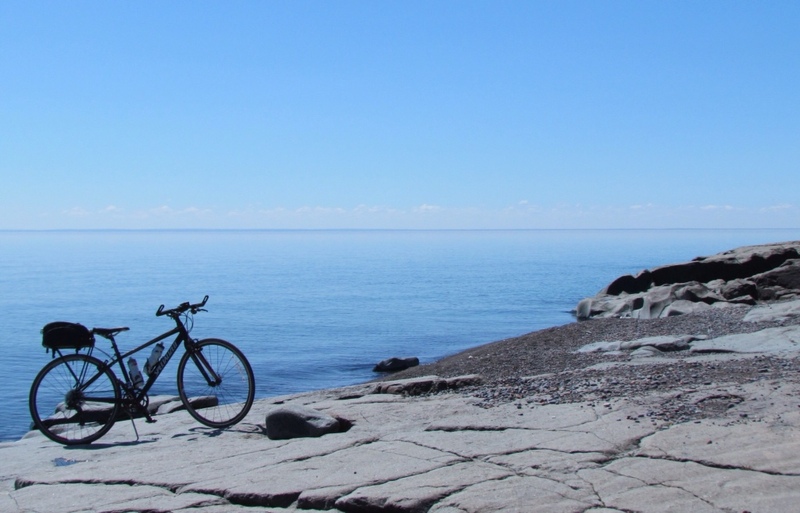 This entry was posted in Life Up North, Outdoors and tagged Cycling, Lake Superior, North Shore, Outdoors, Photography by Molly. Bookmark the permalink.